We love to shoot and it shows! 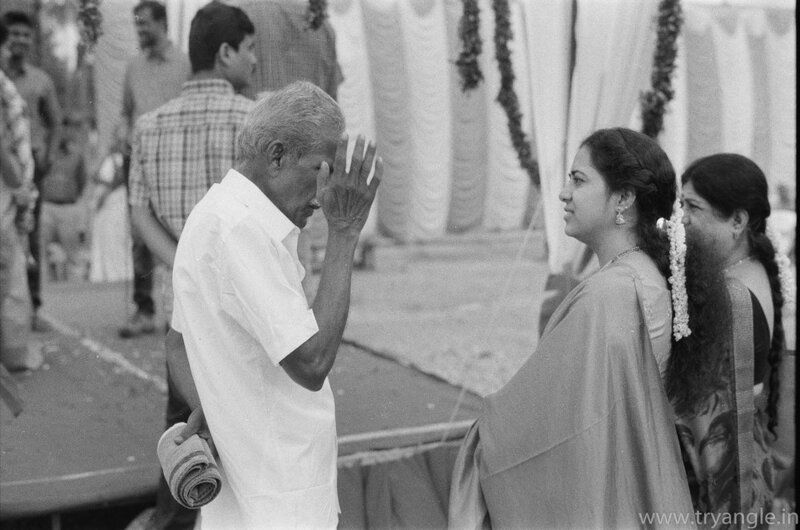 After experimenting shooting with 35 mm film for the last 6 months, I have finally found a good developing and scanning solution in Chennai for B&W films. 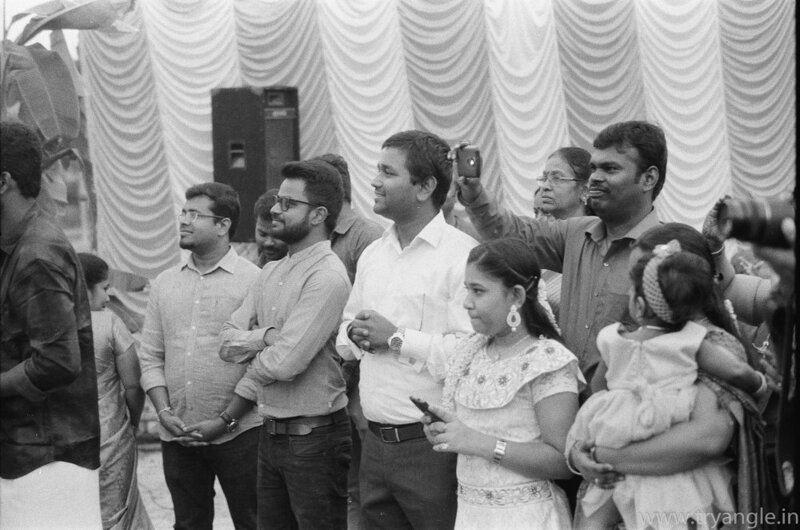 Most documentary photographers, street photographers and some of the candid wedding photographers consider it a sin to use flash for natural light portraiture. Is it because they really want to keep the pictures close to reality? Let’s take a reality check at the real reason. After talking with a few portrait photographers who have only shot in natural light on why they do not use an external flash for their portraiture I narrowed down the reason to two points. Most photographers had a horrible experience with the use of on camera flash. Many of them who hate flash don't make an effort to learn about flash photography. As photographers it easier explained with pictures than typing paragraphs of text. Here is a particular portrait of a tea-estate worker I shot in Kothagiri during the course of a post-wedding outdoor couple shoot. It was a compulsive shot for me as I saw a women dressed in scarlet saree in a green background with beautiful warm backlight from setting sun. The first shot is one I did without a fill flash. I could have recovered shadows and with face mask I could have almost brightened her face. But, if the shadows were a little more darker recovering would have certainly produced losses. Fortunately this time my friend Praveen was waiting with a Godox AD200 with a 60 cm softbox equipped with a boompole. As soon as he saw me shooting he was at the spot for the next shot to light her. In such a situation it is quite difficult to judge the flash intensity you need to get a good fill. I trusted on TTL with a -1 dialed in to retain some of the shadows. This is almost like holding a white reflector to reflect the sunlight onto her face. While using a reflector is not possible in all situations, a portable flash comes handy. I trust I did not kill this picture with a flash. I did not do any exposure changes on this image in the raw processor to represent the pictures as shot for better understanding. The idea of writing this blog was just to get people who never tried off camera portable flash for lighting natural light portraits. Please feel free to comment and write to me. Based on your inputs I 'll probably throw more light on using off-camera flash. No experiment is complete without showing the results of the work. 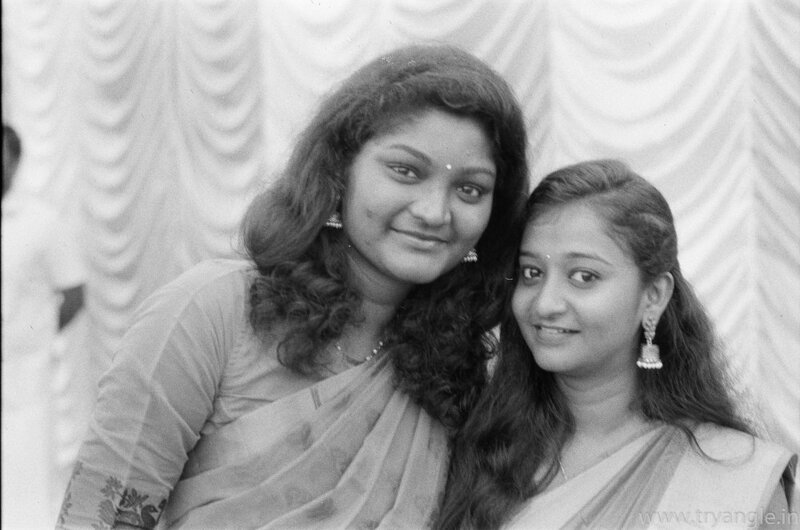 I shot two rolls of B&W film FOMAPAN ISO 200 film that I bought from my friend Thasin Jeelani who resells some films for a good price in Chennai. At that point of time this was the only film that was available to me immediately. I wish I shot in Illford or Kodak films which would have given even better results. As soon as I saw the scanned results I felt..... No let me stop here. You be the judge and let me know what you feel in the comments section below. Here are some pics from the wedding. These were from the first roll. 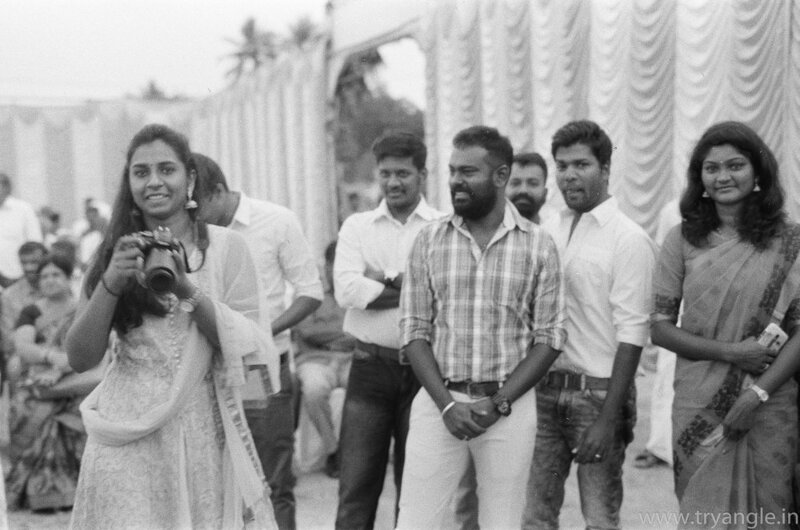 Here are some pictures shot for the couple around Papanasam. I have also shot some random shots of the village. This review of Godox AD200 comes from my recent experience of shooting a fashion/ fitness shoot for our brand Souldeepskin (www.souldeepskin.com). You may like to check our this website for really cool and quality tee shirts. Let me start this review by telling you that I am not going to explain my experience using AD200 with any kind of numbers. This is not going to be a technical review. I am just going to share my practical experience as a professional photographer on the move with little or no help from assistants. As a solo photographer on the move, it is very important for me to travel light. I have used powered Elinchroms and bigger Godox lights like AD600 , even the elite ones like the Profoto B1X, B2 and Broncolor which have worked amazingly well. While all these lights worked great, they were never compact. They always demanded me to travel on a car and asked for reservation on the car’s boot space. For simple shoots in low budget I believe in leaving my car at home and sleeping overnight on a bus. That helps me save time and the fuel burnt on transport. Speedlights were always a hit or miss. They suffer from heating issues, longer re-charging times and lower output. This always forced me to use powered studio strobes are larger outdoor flash units for portrait sessions. There was always a need for a solution in between. 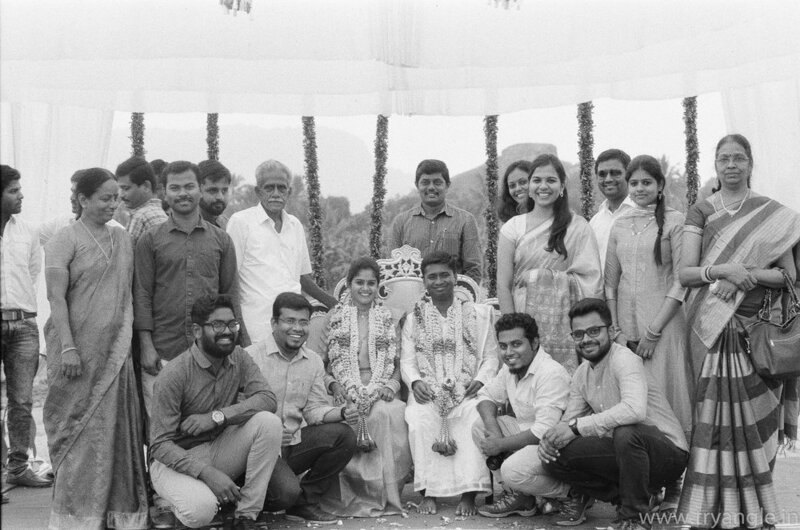 I used the AD200 first time in a workshop I conducted with my friend R Prasana Venkatesh as the mentor and then on an outdoor fashion shoot with MAKKA STUDIOS. This time I had two Elinchrom FRX400 apart from a Godox V860 II and AD 200 to be triggered with an X1Ts on a Sony A7R II. The idea was to shoot some fitness freaks in a Gym wearing fitnessed themed tee shirts from Souldeepskin for their social media promotion. It was a realistic shoot with real members of that Gym. I started the shoot by using to FRX400, one light to serve as a fill and other as a backlight. An hour went by and I just had very few acceptable shots. I realized it was time for me to speed up the shoot and I decided to shutdown the cabled lights. Presence of cables posed several constraints with light movement inside the gym. Unless it is a studio space or a place with open floor, cabled lights can draw a lot of time. So, I shifted to a set of Godox AD200 as my Keylight and V860 II after first few shots. I was really able to move around and make the best use of location. I just asked one of my friends there to handhold AD200 in desired position and moved the speedlight for desired rim light and highlights. I used AD200 with bare bulb and an 80 cm Godox softbox mounted on a S-bracket. With (transmitter) X1Ts I was able to control the fill light and back-light in different groups. With both lights set on TTL, I was able to make finer adjustment on the trigger itself. So, anyone help for holding the light is suffice and with this setup in place, I did not require any professional help. I shot about 409 pictures with 77 selected by the client for publishing in a time of about 4.5 hours. Without any second thought I could fill shadows against daylight. While the flash maynot be able to overpower direct sunlight during mid-day, it can be surely used in 80% of the situations. The recycle time was really good and I missed less than 5% of the shots which is acceptable to me. After firing about 300 shots with this light, I still had 50% of the battery left. Another nice thing about this Li-on battery is that it recharges approximately in an hour. The Fresnel attachment is good when you need direct light. I wish it had an adjustable zoom head. The only issue that I had is while using HSS where the light failed to fire. I had to power-cycle the flash to get it working normally. I think Godox needs to resolve this issue. It could be a problem pertaining to the Sony trigger. I need to test it with a Canon/ Nikon Trigger to confirm if this is a problem with the light or the trigger. AD200 with Softbox for Fill and V860 II for creating the desired highlites. Overall, I am quite happy with this pocket light which gives three times the power as a speedlight. Today I can travel light with AD200 and my existing V860 II for most of my run and gun shoots without any second thoughts. May be I need to add a few mods to get a variety of lighting effect. The Godox AD600 Pro is already released and I can't wait to test it. This light could be my perfect partner for shoots demanding higher power and fast recycle times. Nevertheless, AD200 has taken a permanent position in my camera bag. Thank you HSR fitness world and Souldeepskin for this opportunity. I thank Jagadish for helping me with Lighting. I get this question from several people at least twice in a week and I have been giving different answers depending on their needs. The truth is that you can start with any camera and lens. Your passion will eventually make you find the right stuff you need. Depending how strong your intention to learn is and how much time you can devote towards photography, you will learn. In early 2000's there was little resources online and internet bandwidth was a luxury. Today with the abundance of knowledge available on the web, esp the youtube videos, there is no dearth for knowledge. So you just need to set your mind and start with any equipment available to you. For those people who do not have any camera to start with, you need to buy one. Most beginners ask this question. "I need a camera which I can use for all purposes and it should also be one with all manual controls to learn photography. And it should be within INR 30k to 50k budget." I am a kind of person who buys something if I really need it irrespective of how expensive it it. If I have the money, I just go ahead and buy it. But this is not something I am going to advice to people who ask me for a suggestion. Nikon FE2 with 24 mm f/2.8 AIS Manual Lens along with Mint Hot Chocolate ;) Shot on my mobile phone. Yes, I would love to recommend the above camera for learning. Film and resources for developing is rare. While starting to learn, if availability is itself a problem, where will you even learn. So, I am going to suggest digital photography. But, film cameras and lenses cost a fraction of the price of what a professional modern cameras and lenses cost. And I recommend learning photography with a good choice of lenses from a focal length of 28 mm to 135 mm to start with and preferably with open apertures in the range of f/1.4 to f/2.8. This will help you understand the nuances of DOF (Depth of Field) and help you understand how to choose lenses. I would recommend a digital mirror-less camera against a DSLR and specifically Sony A6000 for people who are on tight budget. This camera with Kitlens is available for Rs 35,000 and the image quality is at par with even cameras costing a lakh and over. You may also buy good mirror-less offering from Fujifilm, Olympus and Panasonic depending on how much budget you have. I am not against learning photography with a DSLR which are available at a similar price point. But there are certain advantages with a mirror-less camera esp when you are on budget and want to explore a variety of lenses. Nikon 24 mm f/2.8 AIS Manual focus lens mounted on Nikon FE2 . For the last wedding shoot I did with FE2 with film, I had borrowed a Nikon-F to Sony-E adapter for using Zeiss Milvus lens on my Sony A7R ii from www.kitkarma.com. As the adaptor was still lying with me, I just thought I 'd try shooting pictures with that lens on my Sony A7R II. Here are a few pictures I shot in my room with tube-light as the only light source. Shot on Sony A7R II with Nikon 24 mm f/2.8 AIS lens and Fotodiox Adaptor. (f/4). Shot as JPG on camera. Once I downloaded the pictures from the camera to my mobile, I was pleased to see the results this Rs 5000 lens could give. While the pictures were not as sharp and perfect as the modern Sony and Zeiss lenses that I have bought, it was definitely good. I am sure it is near impossible to find that I shot with a Rs 5000 lens on manual focus. This is one best thing about mirror-less cameras. As long as you have a focus ring and a way to control the aperture, you can mount any lens on a mirror-less camera. Focusing is extremely easy with the peaking feature. A manual 50 mm f/1.8 lens is avilable for as cheap as Rs 2000. Pick one to experience excitement. The cost of these old manual lenses from brands like Nikon, Pentax, Olympus, Zeiss, Contax, Helios, Meyer Optix, Zenith, Vivitar, Canon a hots of M42 lenses are in the range of Rs 2000 to 5000. You can get it from ebay, keh.com & usedphotopro.com. You can try with local dealers who sell these lenses too. If you do not know how to check these lenses take the help of an experience photographer who could help you. I am sure you could build a good set of four prime lenses with open apertures from 28mm to 135 mm for about INR 16,000 or USD 250. These are images from one 24 mm wide angle lens, with another 35 mm, 50 mm, 85 mm it will give you million possibilities. I will soon share images shot with some vintage lenses. I trust I have given you an affordable solution under 50k for learning photography. Creative images are made by the photographer and I have always felt lack of budget should not prevent one from shooting beautiful images. Throw that MTF and other pixel peeping measures into the dustbin and concentrate on the art. You will enjoy and share that joy with others around. I recommend the same for budding filmmakers as well. Get A6300 as A6300 cannot be used with external mic. I do not recommend DSLR for old lenses as you cannot use any lens with a flange to film distance less the one in your current DSLR. With mirror-less the flange to sensor distance is really short and this does not become a limitation. Moreover all mirror-less cameras give focus peaking which is easier to confirm focus during manual focusing. Today's DSLR lack split prisms on focusing screens. PS: By no means I am preventing people from buying advanced equipment which is many times a need for professional photography. This blog is written for beginner and hobbyist on budget who sill like to complete explore photography beyond the confines of a Kit Lens. I have seen people buying a camera worth a lakh and one kit lens which handicaps their creativity. Variety of good open prime lenses are more important than an expensive camera to come up with creative images. Comments and critics are welcome. I am a Beginner. Which camera and lens should I buy?